Tensovolt Tape (Heat Shrink) EM 1329 – Imavolt S.A. It has a combined fabric polyester yarn and spinning chain glass frame, which allows under the action of temperature, have a significant contraction. This fabric is impregnated with an epoxy modified system flexibility. Allowed due to the contraction property mentioned above to improve the compaction machine heads rotating coils as a first application. 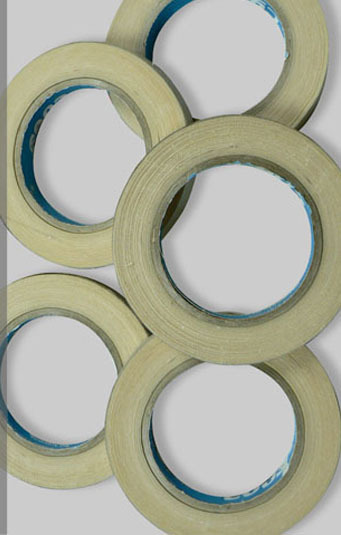 It is also used in the insulation of various fittings and connections. Dielectric Strength: 18 kV / mm. 25 and 50 meters long. Fabric width 1000mm. and 25 meters long.